Instead of following advice from doctors, who were telling her to restrict calories, eat meat, and to take a popular weight-loss drug called phentermine, Ashley Chong did the exact opposite. She went 100% raw vegan overnight and it changed her life. She ended up losing about 125lbs in little less than a year. Read more to find out more about Ashley’s amazing vegan transformation. Can you do what you love for a living? Is it possible to “veganize” your vocation? An accomplished graphic designer and wordsmith answers these questions and talks about finding the road to success while building the vegan business of her dreams. After seeing one too many posts from “ex-vegans,” Butterflies Katz decided to host a worldwide short essay contest titled: “Why You Will Always Be Vegan.” Many hundreds of essays came pouring in from around the world. Over 50 winners received a gift that was offered by participating vegan businesses. After reading through the first 30 winners one night she realized that the essays could all be compiled into one inspirational book. 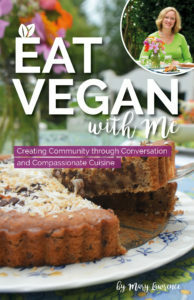 Recently released as an Amazon.com eBook, this outstanding compilation of short essays from many regions around globe is dedicated to the preservation of what it means to be vegan. For today’s blog, Justin Van Kleeck addresses the recent disturbing expose of the U.S. Meat Animal Research Center and calls for an end to the human manipulation and use of all animals. The buzzed-about documentary “Cowspiracy: The Sustainability Secret,” which takes an unflinching look at the devastating global impacts of rearing animals for food and the many environmental organizations not addressing this issue, has been making a huge impact in the vegan community and beyond. Vegan Publishers’ own Lorelei Plotczyk interviewed director Kip Andersen via Skype about the controversy surrounding the film, what “the v-word” means to him, and why he anticipates big things for the movie – and the entire vegan movement – in 2015. Check it out! Today we welcome Sybil Severin, author of the newly released Vegan Publisher’s children’s book “Lena of Vegitopia and the Mystery of the Missing Animals.” Severin talks about her inspiration for the story and the importance of producing vegan-themed children’s books. For this week’s VP blog, Justin Van Kleeck, Vegan Publishers’ new staff writer, offers his thoughts on vegan masculinity.